SAN JUAN — Gov. Ricardo Rosselló has enacted Senate Bill 497, which amends the Public Private Partnerships (PPP) Act (29) of 2009, with the purpose of further streamlining the process to establish such alliances between the private sector and the government and include a requirement to hire local workers for the projects being developed. 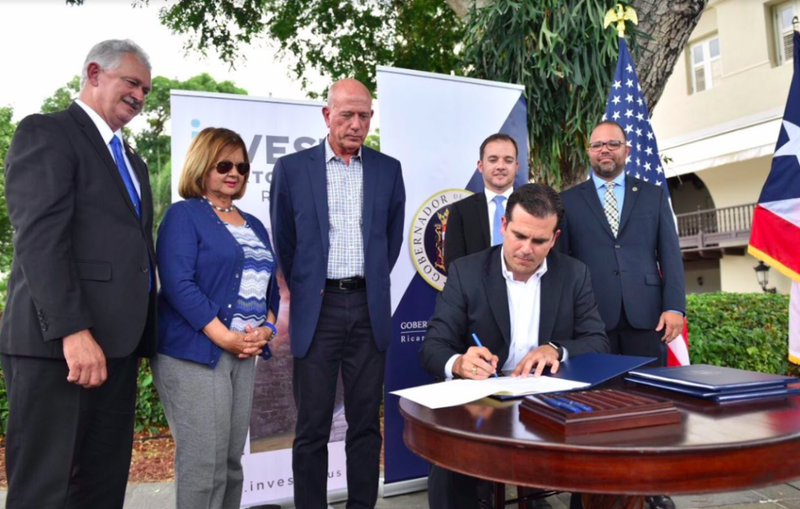 This is the second measure that amends this law, as the first legislation of the Rosselló administration (Act 1 of 2017) sought to make the process of these agreements on the island more flexible, among other things, to allow for the private sector itself to make project proposals. Even though there are is a list of 22 “priority project proposals” for 2017 on the Public Private Partnerships Authority (PPPA) website and another 10 projects that could become this type of alliance, concrete agreements have not yet been announced. However, an update is expected in the first Invest Puerto Rico Forum slated for Sept. 20 and 21, the governor said. S.B. 497, authored by Senate Vice President Larry Seilhamer, eliminates the requirement of a majority in the PPPA board for decision-making; restructures the composition of said board; and makes the processes related to the establishment of partnerships more flexible. The changes seek too speed up the process to establish a PPP in order to accelerate the development of projects, according to the bill. Seilhamer added that the measure also requests that the partnership contracts be published online, as well as any amendments made to them, he said at a press conference with the governor in La Fortaleza. The governor also enacted seven other laws intended to foster economic development. The first of these was Senate Bill 403, which allows the government to comply with the provisions of the Interagency Validation Portal for the Concession of Economic Development Incentives Act to give continuity to a statute enacted in 2015 while the incentives code is being prepared. The second measure is House Bill 1092, which amends the Private Capital Funds Act to clarify the application of tax benefits and ensure they are a “financing and economic development tool” that facilitates the pooling of private capital for the expansion of local businesses. Also enacted were Senate bills 29 and 31, which seek to add the duty of overseeing small and midsize businesses to the Puerto Rico Ombudsman and create the Work-Learning Program to encourage university studies among high school students, respectively. In the case of Senate Bill 60, it seeks to amend Act 73 of 2008 and Act 20 of 2012 to eliminate base period income and extend preferential rate benefits to businesses already established on the island. The last two Senate bills 138 and 1096, seek to create the Agricultural Planning Act to boost this sector and establish an incentives plan for State Insurance Fund Corp.-insured employers, respectively.